Amalaki is a natural remedy long used in Ayurveda (the alternative medicine of India). Sometimes referred to as amla or Indian gooseberry, Amalaki is sourced from Emblica officinalis (a tree native to tropical regions in southeastern Asia). Amalaki contains a number of substances thought to enhance health, including vitamin C and other antioxidants. 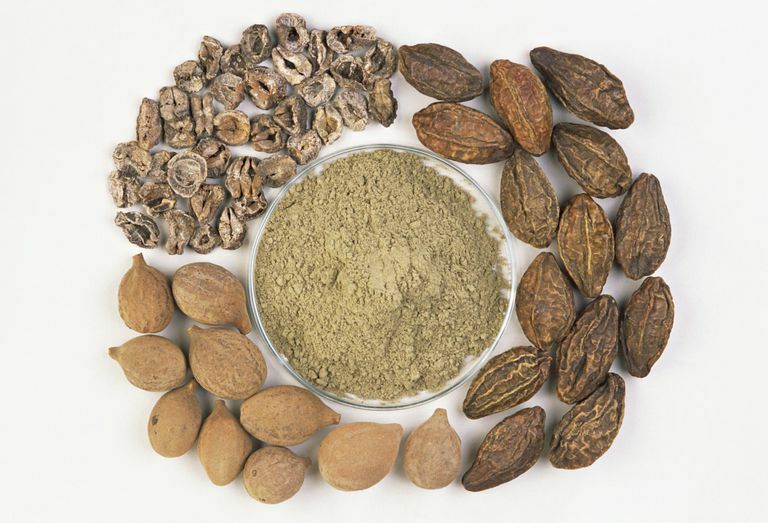 Amalaki is also one of the three herbs included in triphala, an herbal formula widely used in Ayurvedic medicine. Amalaki is commonly used to promote longevity in Ayurveda. It's also used by Ayurvedic practitioners to improve the health of the blood, bones, digestive system, liver, and skin. Additionally, Amalaki is said to possess cooling properties that can help soothe pitta (one of the three doshas). According to the principles of Ayurveda, excess pitta can contribute to inflammation, difficulty sleeping, skin problems, gastrointestinal disorders, and stress-related issues such as high blood pressure. In addition, Amalaki is thought to reduce inflammation, alleviate pain, promote detox, sharpen memory, and protect against cancer. Amalaki may help prevent hyperlipidemia (a condition marked by abnormally high levels of cholesterol and other blood fats), according to a 2007 study from the British Journal of Nutrition. In tests on rats, the study's authors found that Amalaki may help fight hyperlipidemia by curbing oxidative stress. A study published in Cardiovascular Toxicology in 2011 found that Amalaki may help prevent the development and progression of high blood pressure. In an experiment involving rats, scientists determined that antioxidants found in Amalaki may help normalize blood pressure in part by reducing oxidative stress. Amalaki may help protect against diabetic complications, suggests a 2012 study from the Journal of Ethnopharmacology. In the study, researchers found that treating rats with Amalaki reduced the risk of diabetic complications by improving the animals' antioxidant status and neutralizing free radicals. Amalaki has a number of properties that may be beneficial in the treatment and prevention of cancer, according to a report published in the European Journal of Cancer Prevention in 2011. According to the report, Amalaki may help fight cancer through several means, such as reducing inflammation, boosting the immune system, and knocking out free radicals. However, there is currently a lack of clinical trials testing the anti-cancer effects of Amalaki. Due to a lack of research, little is known about the safety of long-term use of Amalaki. However, there's some concern that Amalaki may trigger certain side effects (including upset stomach). Amalaki supplements haven't been tested for safety. It's important to note that, due to the fact that dietary supplements are largely unregulated, the content of some Amalaki products may differ from what is specified on the product label. In some cases, the product may deliver doses that differ from the specified amount for each herb. In other cases, the product may be contaminated with other substances such as metals. While consumers face such risks when purchasing any dietary supplement, these risks may be of greater magnitude in the purchase of ayurvedic products containing a variety of herbs in varying doses. In addition, the safety of supplements in pregnant women, nursing mothers, children, and those with medical conditions or who are taking medications has not been established. You can get tips on using supplements, but if you're considering the use of Amalaki, talk with your primary care provider first. Widely available for purchase online, Amalaki is sold in many natural-foods stores and stores specializing in dietary supplements. Due to a lack of supporting research, it's too soon to recommend Amalaki for any condition. It's important to note that self-treating a chronic condition with Amalaki and avoiding or delaying standard care may have serious consequences. Baliga MS, Dsouza JJ. "Amla (Emblica Officinalis Gaertn), a Wonder Berry in the Treatment and Prevention of Cancer.." Eur J Cancer Prev. 2011 May;20(3):225-39. Bhatia J, Tabassum F, Sharma AK, Bharti S, Golechha M, Joshi S, Sayeed Akhatar M, Srivastava AK, Arya DS. "Emblica Officinalis Exerts an Antihypertensive Effect in a Rat Model of DOCA-Salt-Induced Hypertension: the Role of (p) eNOS, NO and Oxidative Stress." Cardiovasc Toxicol. 2011 Sep;11(3):272-9. Yokozawa T, Kim HY, Kim HJ, Okubo T, Chu DC, Juneja LR. "Amla (Emblica Officinalis Gaertn.) Prevents Dyslipidaemia and Oxidative Stress in the Aging Process." Br J Nutr. 2007 Jun;97(6):1187-95. Nain P, Saini V, Sharma S, Nain J. "Antidiabetic and Antioxidant Potential of Emblica Officinalis Gaertn. Leaves Extract in Streptozotocin-Induced Type-2 Diabetes Mellitus (T2DM) Rats." J Ethnopharmacol. 2012 Jun 26;142(1):65-71.